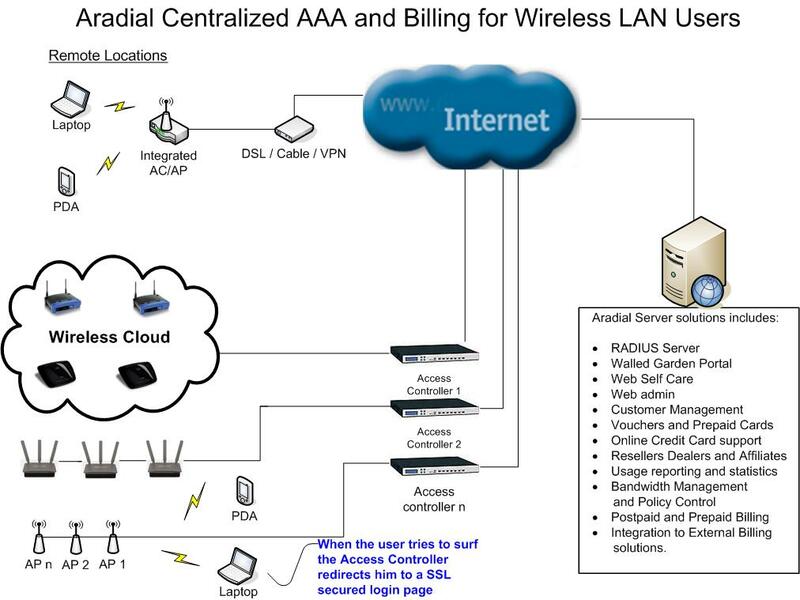 Radius Server (AAA) and integration with Radius Billing Solutions - Hotspot network diagram. 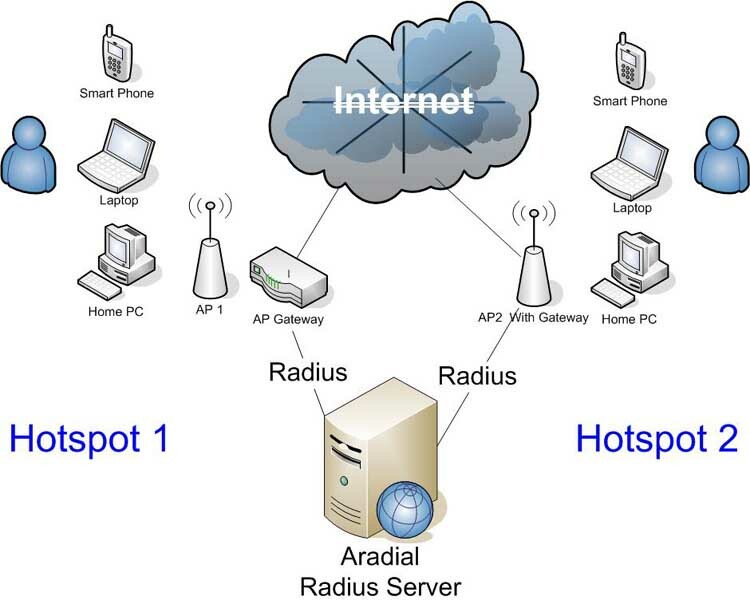 The diagram shows how Aradial Radius server is connected to an access point or to an access controller. using http://www.chillispot.org or http://nocat.net, Monowall, pfSense, Commercial: Mikrotik, Nomadix, Colubris, ZyXel and others.